For pots and smaller planters we recommend using our 30L bagged product, available at various retail stores listed on our ‘where to buy’ page. This compost is always very finely screened and more suitable than our bulk compost which can be a little coarser especially in the early spring when fine screening is more difficult due to wet conditions. 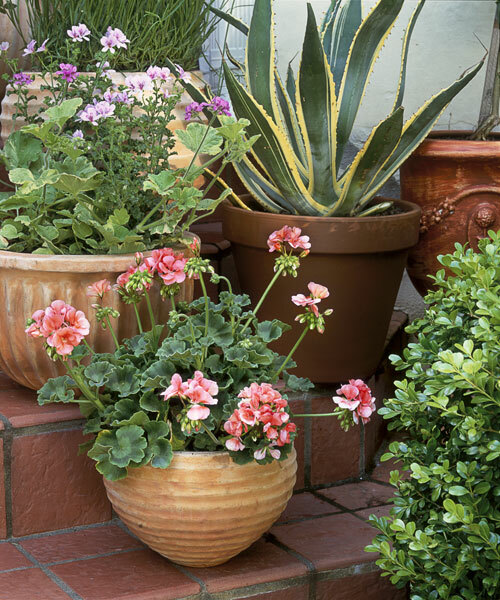 To enhance potted plants remove as much soil as possible from the top of the pot without damaging the roots and replace with Earthbank fish compost. For potting and planter mixes use 1 part Earthbank fish compost to 2 parts standard potting soil blend. For light feeders use 1 part fish compost to 3 parts standard potting soil blend. The compost and soil should be mixed thoroughly. Earthbank fish compost, or any compost should not be used, or considered a replacement for soil. Compost is a soil amendment, it is not soil. The maximum mixture we recommend is up to 50% compost and 50% soil blend. This should only be considered for heavy feeders that are annuals. Generally speaking, because our compost is so rich in nutrients it is not necessary to ‘overuse’ it in potting mixes.